Today in Masonic History Oliver Russell, 2nd Baron Ampthill is born in 1869. 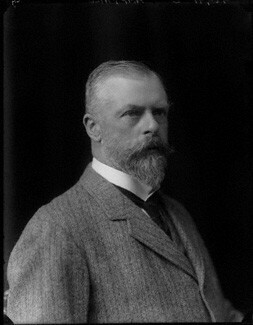 Oliver Russell, 2nd Baron Ampthill was a British peer. Russell was born on February 19th, 1869 in Rome, Italy. He was educated at Eton and graduated from New College, Oxford. While at New College he began rowing and rowed for Oxford against Cambridge. In 1894 and 1898, he served on the original Olympic committee. In 1895, Russell was appointed as Assistant Secretary to the Colonial Secretary. In 1897 he was elevated to Private Secretary. This position was not permanent as Russell began to develop a rift with the British Government when it came to matters involving India and it's people. In 1900 Russell was appointed Governor of the Madras Presidency, a province of British India. He served until 1906. In 1904 he was temporarily made the Viceroy of India when George Cuzon's tenure ended. Russell who was an ally of Cuzon fought with other British appointees trying to maintain Cuzon's policies. He also opposed the Oriya Movement who wanted a separate province for the Oriya speaking movement in Madras. After returning to England in 1906 Russell took up the cause of Indians living in South Africa. In 1909 he was appointed a Deputy Lieutenant of Bedfordshire. During World War I Russell served in France where he commanded three different regiments and was mentioned in dispatches twice. In 1917, Russell was one of the co-founders of the National Party, a right-wing split of the Conservative Party. Russell also served as president of The Magic Circle an organization dedicated to the promotion and advancement of the art of magic. Russell passed away on July 7th, 1935. Russell was a member of Apollo University Lodge No. 357 in Oxford. He went on to serve as Worshipful Master of Bard of Avon Lodge No. 778, Hampton Court, The Royal Alpha Lodge No. 16 and Grand Master's Lodge No. 1. He also served as the Provincial Grand Master of Bedfordshire and District Grand Master of Madras.